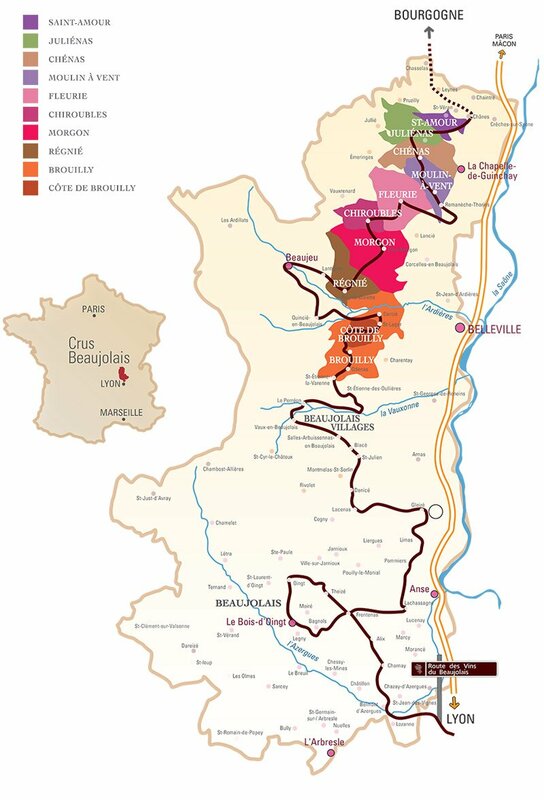 The famous ten "Crus" of Beaujolais are the located in the northern half of the Beaujolais region, just south of Burgundy's Macon region. The wines produced this 67 square miles are typically more structured and robust than the wines produced in the southern portion of the region. Twelve representatives from these Crus united in 2017 to form Club Crus Beaujolais in order to bring greater presence to the distinctive nature of the region, of the 10 crus or appellations and to the individual wines they are producing. Behind each of these producers stands the hard work of generations of families, who dedicate themselves to growing exquisite grapes, and transforming them into award-winning wines. Beaujolais Cru wines have established their respect worldwide as the highest quality wines in the appellation. In their inaugural year, the 12 Club Crus Beaujolais producers will travel to the U.S. showcasing the rich history and distinction of the Cru Beaujolais in New York City and Chicago.